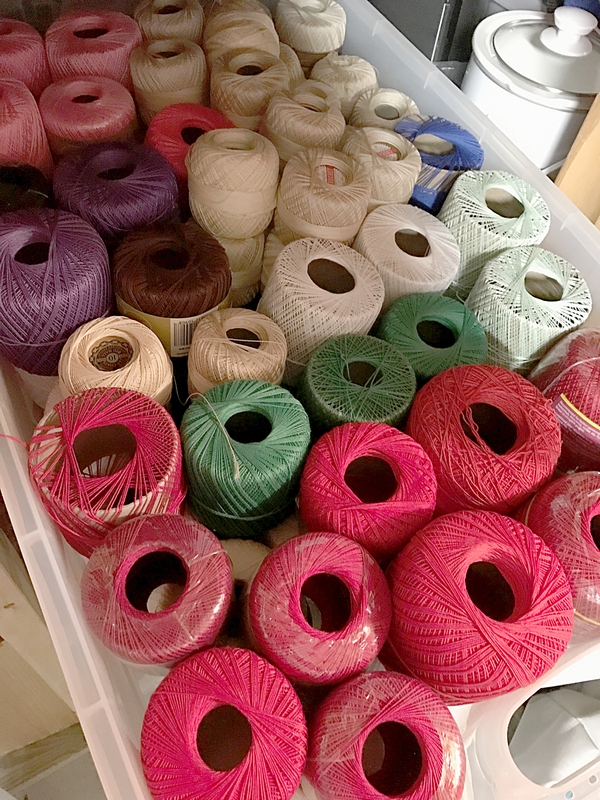 Sniffles, coughs and general malaise have been our companions this past week, so when this weekend rolled around, I was looking for a fun, relaxing project that would take my mind off how well I am not feeling. 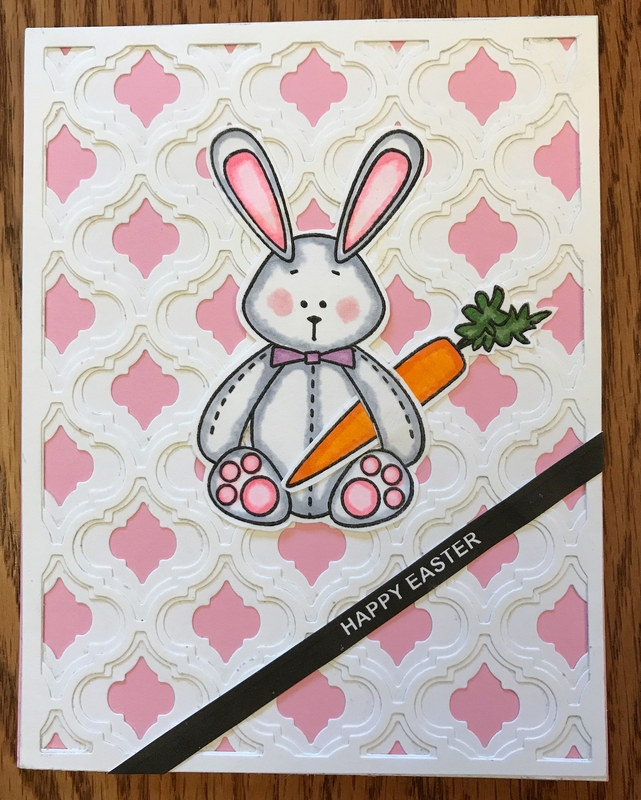 That project turned out to be a set of Easter cards based on layered background dies. 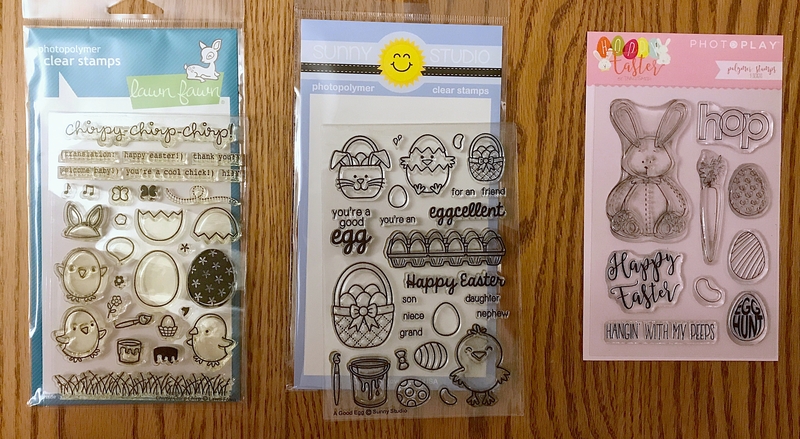 I was introduced to these dies back in November, when I watched Jennifer McGuire’s video, Crafting On-the-Go and Simple Textured Cards. 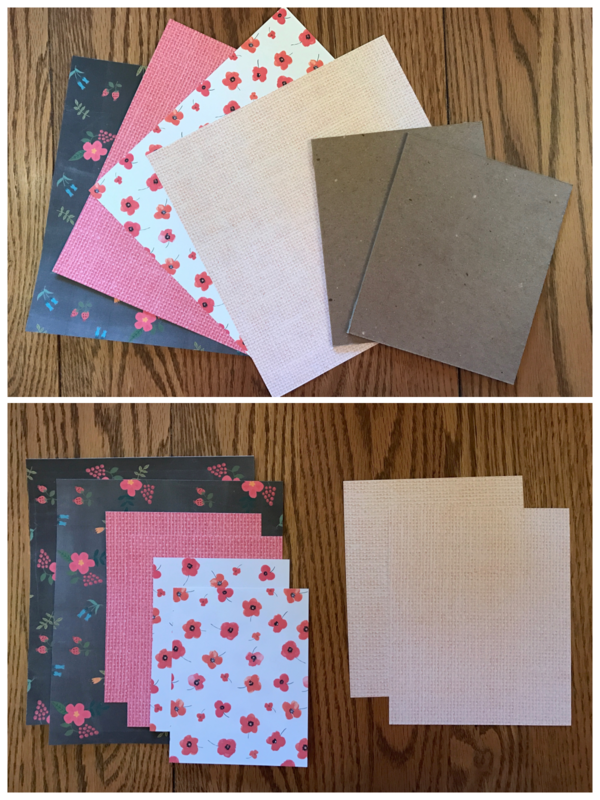 Afterwards, I purchased Birch Press Designs’ Delfina Layer Set. The idea behind layered background dies is to add texture to the card you are making. 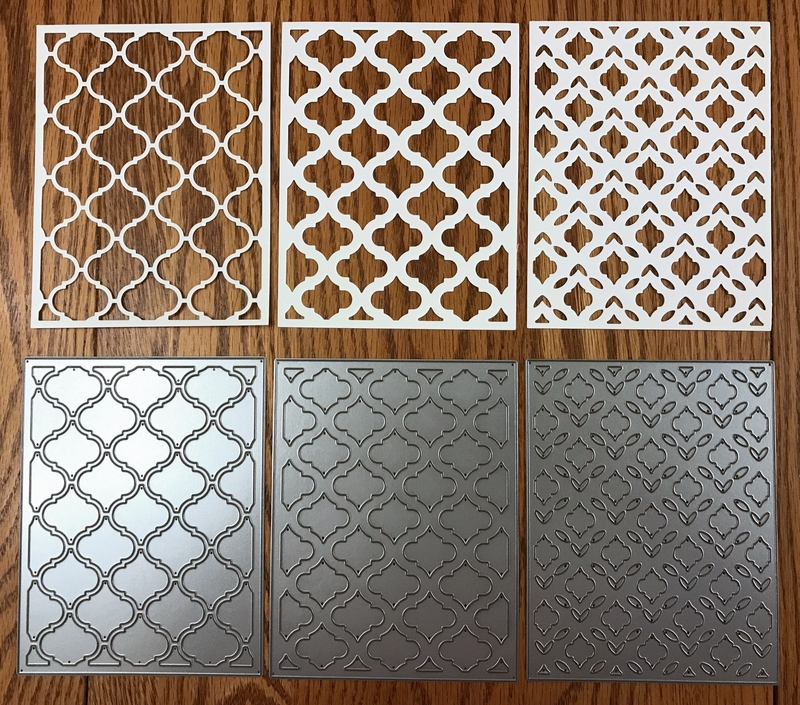 The dies are all sized to fit a standard A4-sized card measuring 4-1/4 x 5-1/2 inches. 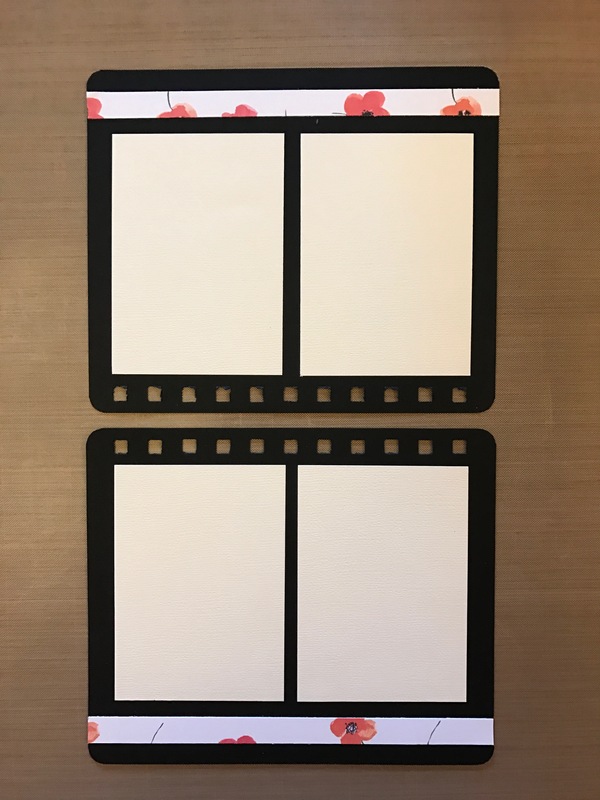 You can cut two of these cards from one 8-1/2 x 11-inch sheet of card stock, so if you decide to make one of these layered background cards, you may as well do two, for efficiency’s sake. The Delfina Layer Set is designed as three rectangular dies that all work together. You can use one, two or all three at a time, and they coordinate beautifully, adding an intricate-but-lovely texture to your card. In the photo below, you can see that I layered three white rectangles, one on top of the next. Jennifer McGuire suggests using dots of Ranger Multi Medium Matte to adhere the layers together. 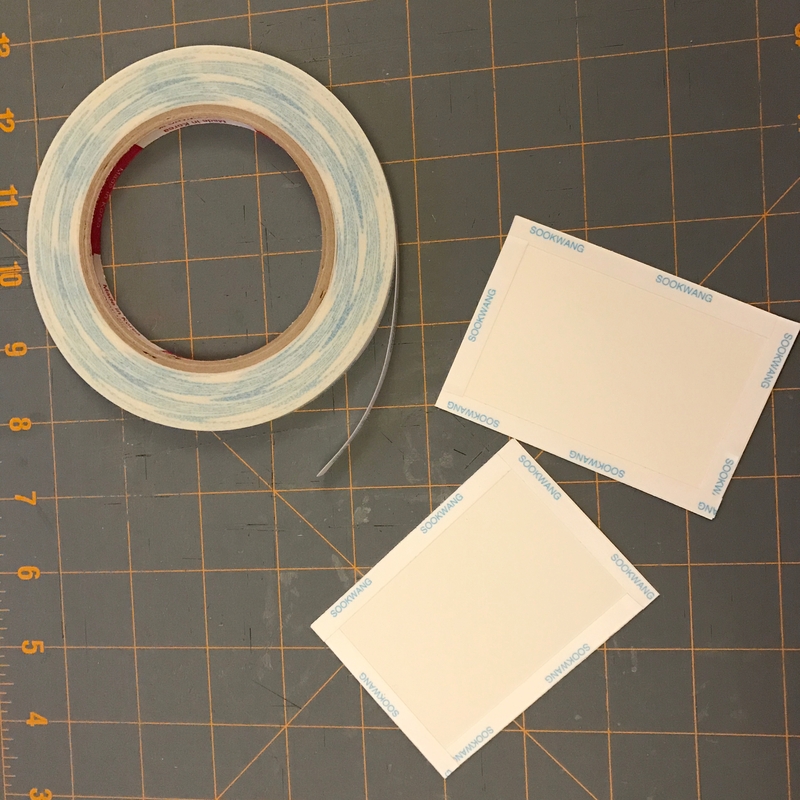 This works well not only because the adhesive is strong, but also because a wet adhesive allows you to shift the layers until you get them aligned just right. I stamped the images with Tsukineko Brilliance Graphite Black Pigment Ink Pad because that’s what I have on hand, but not before doing a little research about what stamping inks work best with Copic markers, which I intended to use for coloring the images. 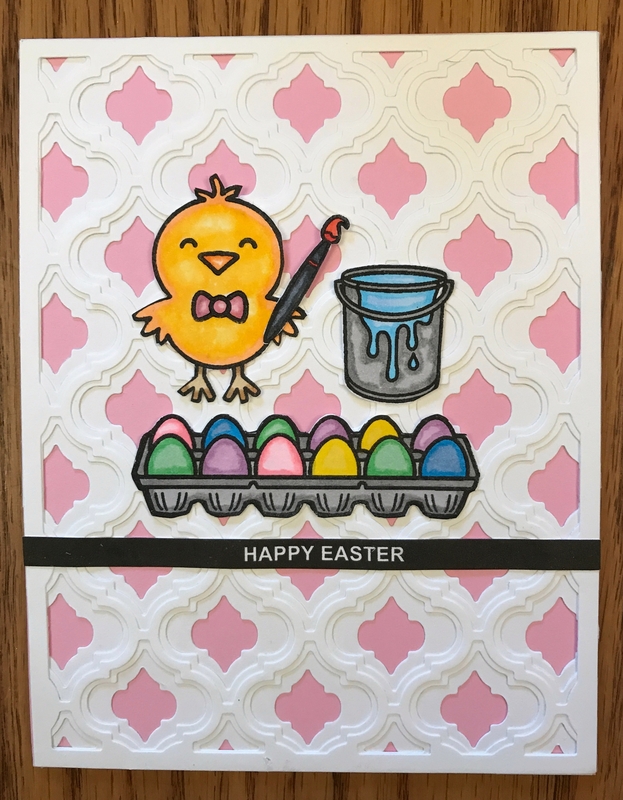 Guest blogger Sharon Harnist, in Best Inks To Use With Copic Markers by Sharon Harnist, likes Tsukineko Brilliance Graphite Black Pigment Ink Pad and Ranger Adirondack Earthtones Pitch Black Dye Ink. I am not sure that this second ink is sold anymore, to be honest (the post dates back to 2009), but the Tsukineko Brilliance Graphite Black Pigment Ink Pad is readily available. Sharon reports this ink is excellent, but you do need to let it air dry for an hour, or heat set it. Jennifer McGuire, in Inks for Copic Marks + Giveaway, cites Memento Tuxedo Black Fade-resistant Dye Ink, Studio Calico Color Theory Inky Black Pigment Ink and My Favorite Things Black Licorice Hybrid Ink as her favorite stamping inks to use with Copic markers. Jenny from CraftTestDummies shares the results of her test of 10 inks and 6 brands of markers, in Best Stamp Pads for Copics (and alcohol markers). 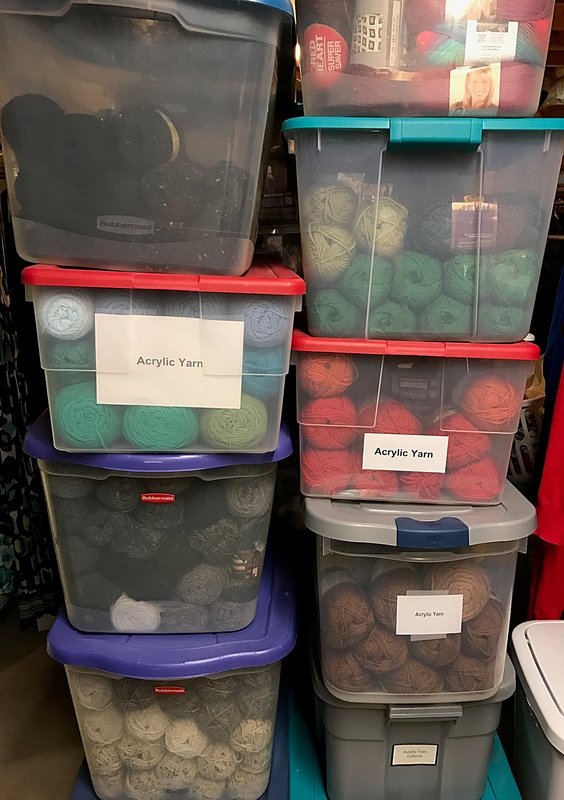 For all types of markers, she says the three best inks to use are Hero Hues Dye Ink, Adirondack Dye Ink, and Memento Dye Ink. After I colored the images I planned to adhere on top of the textured background layers, it was time to think about the sentiment I wanted to add to the cards. I really like the simplicity of thin sentiment strips, with white embossed text on black paper, that Jennifer often uses in her cards. Because the background of the cards is so intricate, a no-frills sentiment seems to work best. 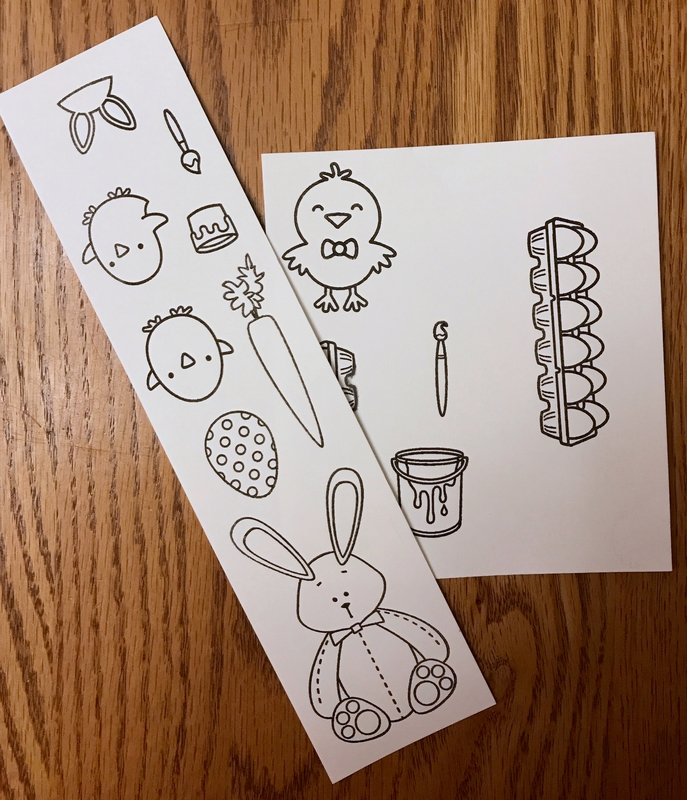 However, I do not have the library of sentiment stamps that Jennifer has, and did not want to purchase another stamp set just for the words, “Happy Easter.” My solution was a digital one that cost me nothing but the time to design it—a solution I can re-use by modifying it. Using Microsoft Word, I designed graph paper and merged the cells of every other row to create sentiment strips. I shaded them in black, and centered text in white. Then I simply cut out the sentiment strips with scissors, and adhered them to the cards. 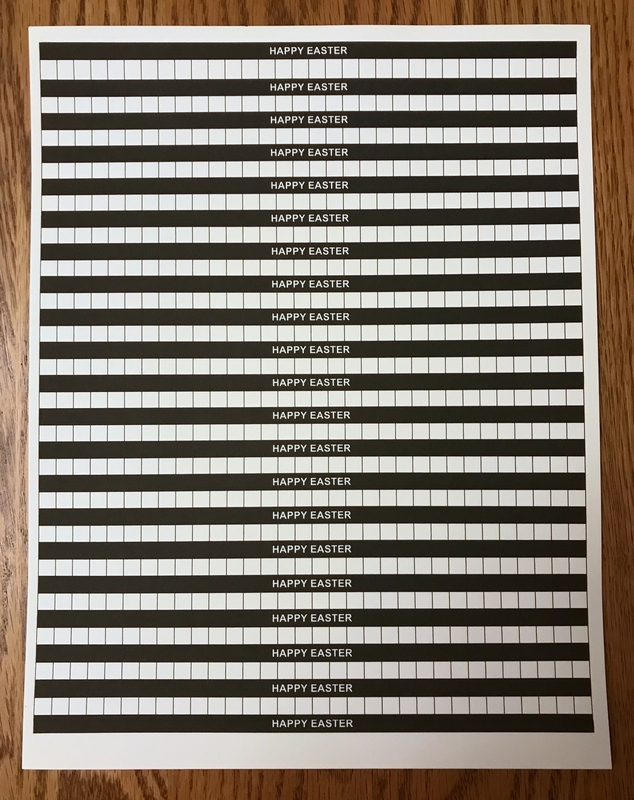 If you click on the image above (or on this link), you can download my digital graph paper and modify the text for your own sentiment strips. 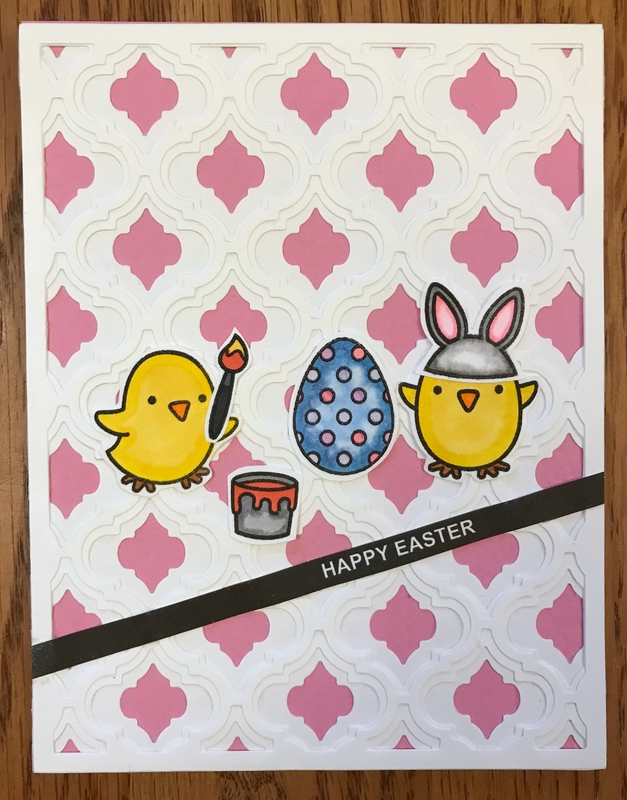 Below are the three Easter cards I crafted this weekend. I think using a layered background adds some nice texture to them, and suspect I’ll be using this technique again. Of course, at the moment I only own one set of layered background dies. They are costly at $69.99 a set, but you can use them over and over again. There are different ways to add texture to your cards. 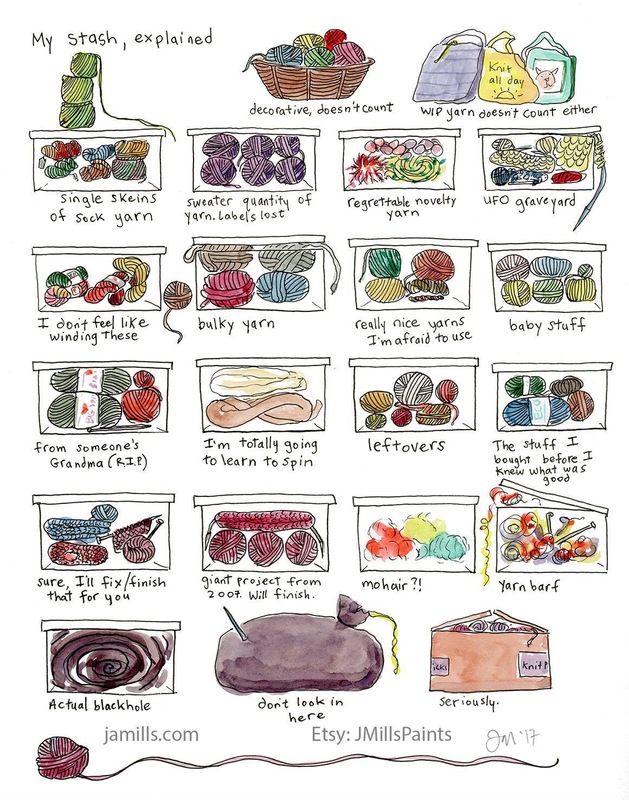 Do you have a favorite technique? 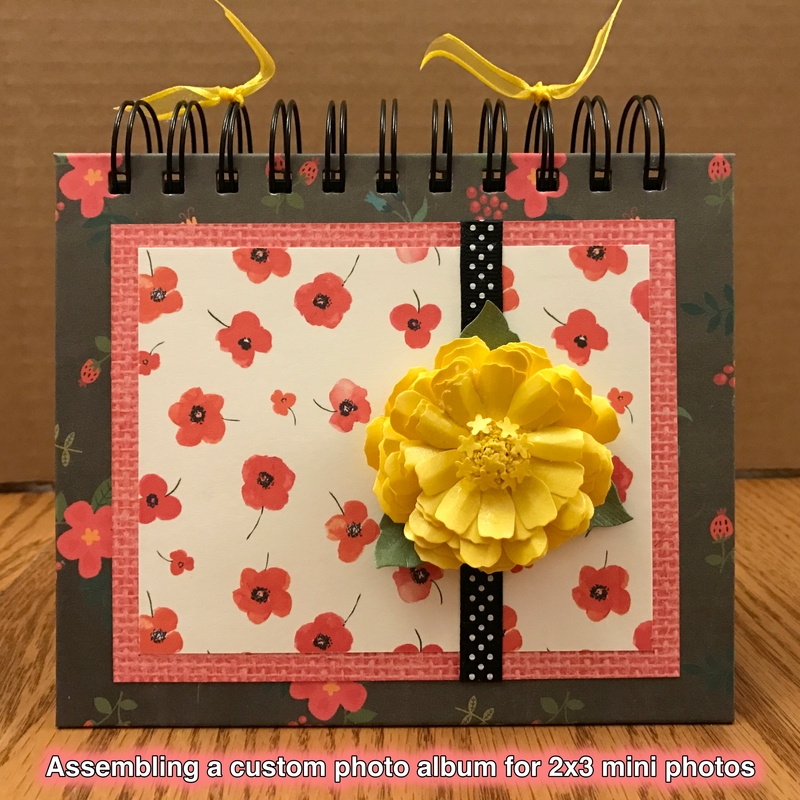 In my previous post, How to save time and money for your craft business design needs, I described—among other items—how I used ordinary office software to design a custom photo album. In this post, you’ll see how the software design translated into reality when I assembled the parts of the album. 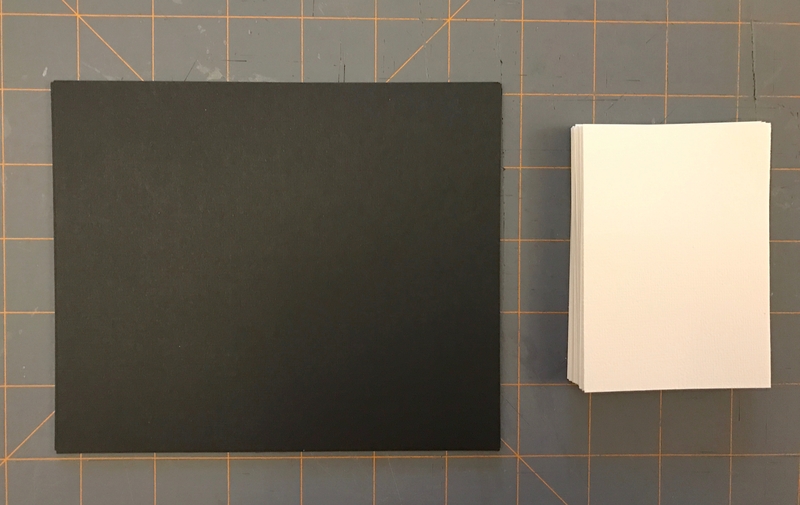 I began with two stacks of card stock, one in black for 5-inch x 6-inch pages, and another stack in ivory for 2-1/2 inch x 3-1/2 photo mats. My best friend for adhering the photo mats to the pages is Scor-Tape because it’s strong, lasting and lightweight. When I adhered the photo mats to the pages I really did not want to have to measure their location with a ruler, so I created a U-shaped card stock jig that helped me with consistency in placement. To each page, I adhered a strip of printed paper for a splash of color. 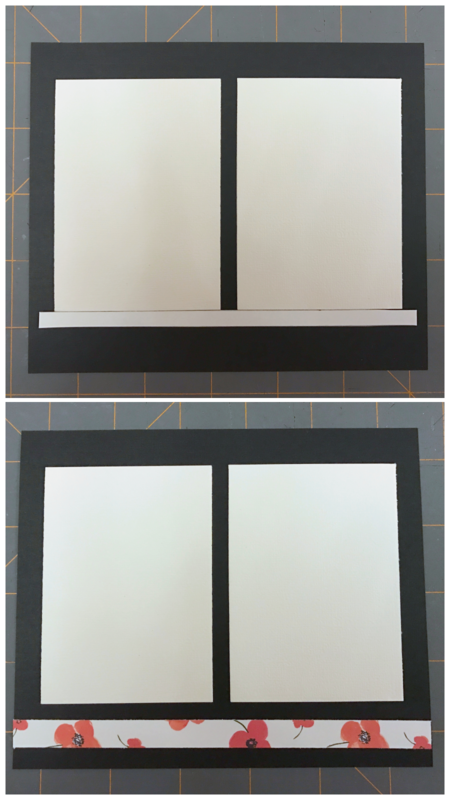 I cut a narrow length of card stock to serve as a temporary spacer between the photo mats and the location of the printed strip. This speeded up the placement process considerably. I usually round the corners of the pages I add to any book or album; not only does this look more finished, in my opinion, but rounded corners tend not to curl or crease as easily as 90-degree corners do. 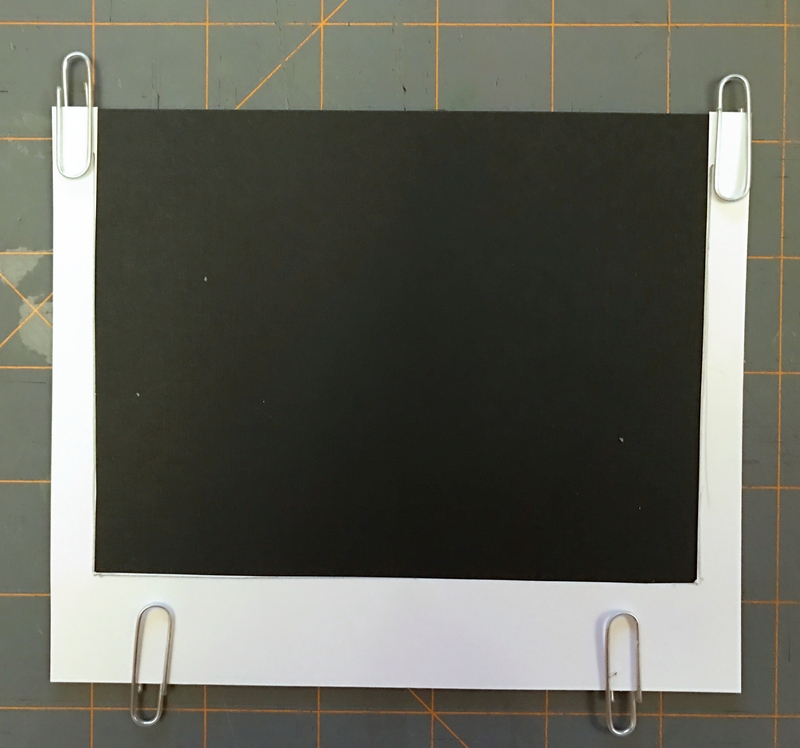 I punched the pages for insertion into the photo album using my We R Memory Keepers Cinch. I do have a Zutter Bind-it-All, but because the latter punches only six holes at a time, I find the Cinch works better for me for larger books. On the other hand, the Bind-it-All punches through thicker covers and more pages at a time than the Cinch, and its owire crimping produces a more rounded appearance. The Cinch punches both square holes and round holes, depending upon which version you purchase, while the Bind-it-All punches square holes only. Each binding tool, in other words, has its strong and weak points. The cover of the album was created after the pages were completed. I began by gathering the papers and heavyweight book board, and cut them into appropriate sizes. The book board I use measures .082 inch in depth, which is thicker than I feel comfortable cutting with my Rotatrim Professional M18 rotary trimmer. 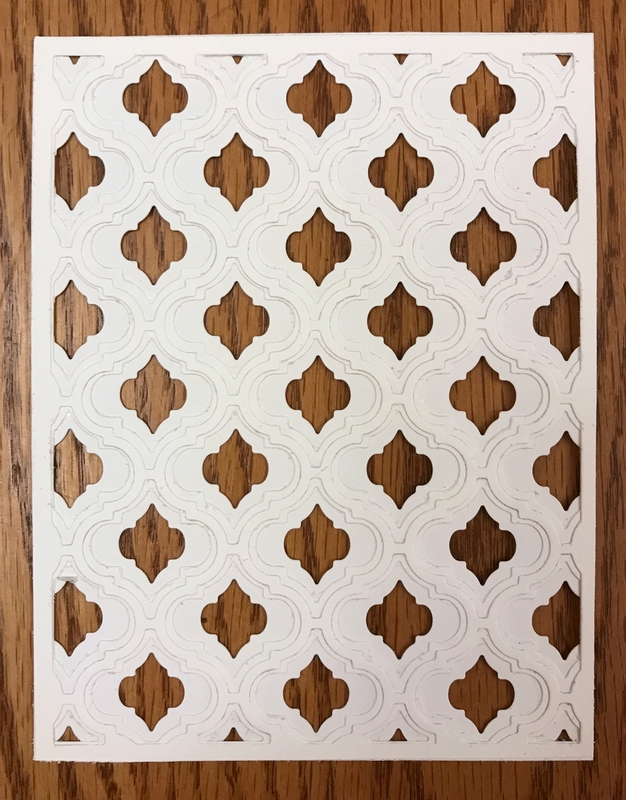 Instead, I use the Zutter Kutter, which is designed specifically to cut through thick materials such as chipboard, book board, foam board, stacks of card stock and leather. I layered all papers together the way my customer specified, covering the book board, and bound the album with a one-inch-diameter owire. 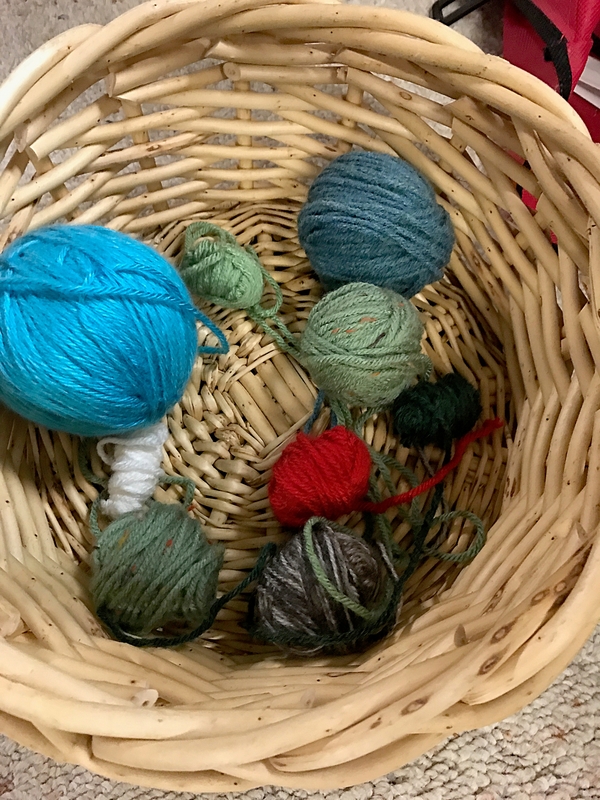 I have discovered that the wider the diameter of the owire, the more trouble the Cinch or Bind-it-All have with crimping it. Too often, the owire ends up with a kink in it instead of being perfectly rounded. Sometime last year, I decided it was time to locate a commercial tool that is dedicated to owire binding. I discovered that MyBinding.com sells some of its equipment at a reduced cost if the box has been opened and the item inside is damaged in some way, but still is functional. In my case, some of the paint was chipped on a Tamerica DuraWire 450 Manual Twin Loop Wire Closer, but the tool itself worked perfectly in every way. I bought it at a seriously reduced cost, and find that it crimps consistently every time. 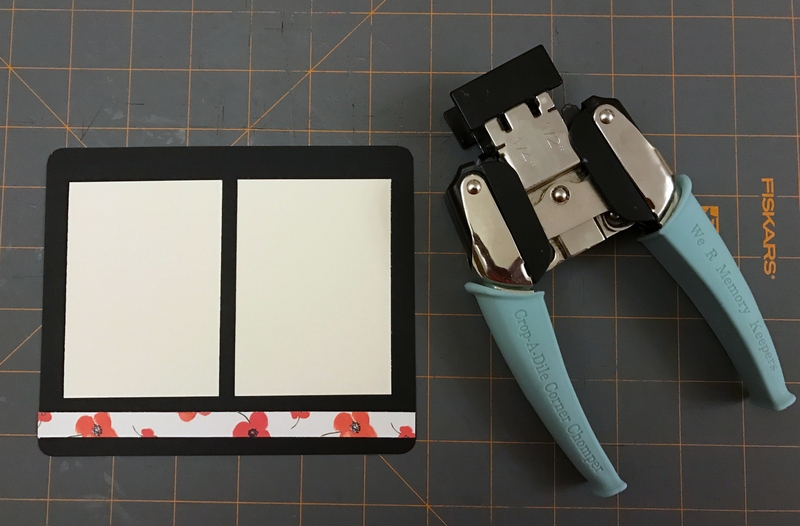 These days I use both my Cinch and Bind-it-All for punching holes only; when they no longer punch well, I will likely replace them with a commercial punching tool. 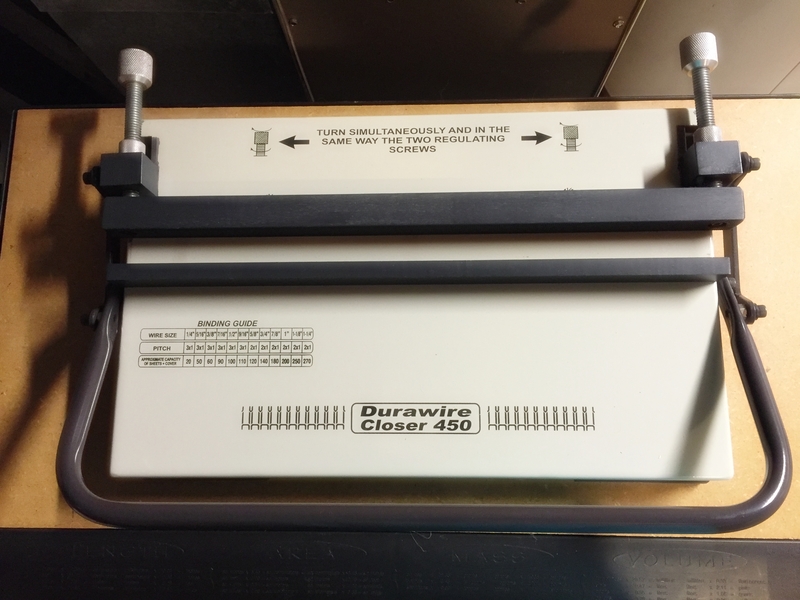 The wire closer accommodates owire diameters from .24 inch to 1.25 inches. 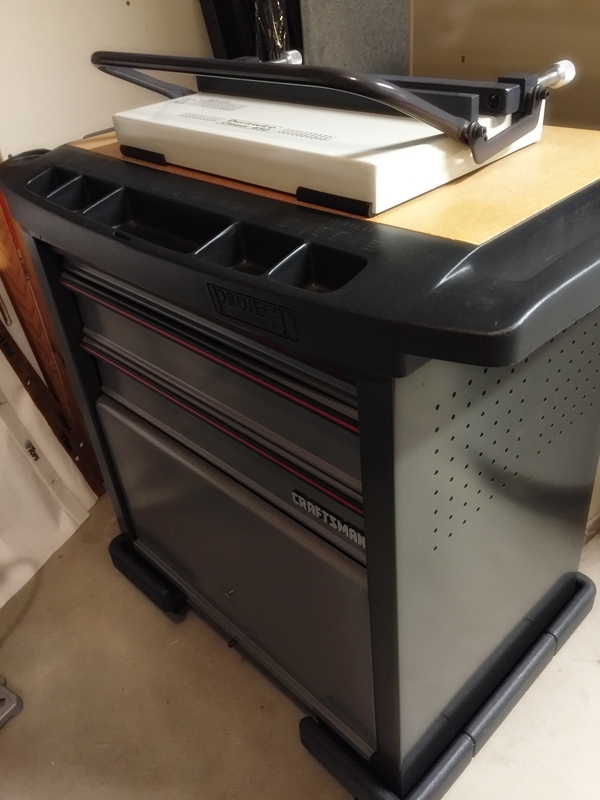 My husband gave me his old tool chest, which is the perfect place to keep this rather large piece of equipment. 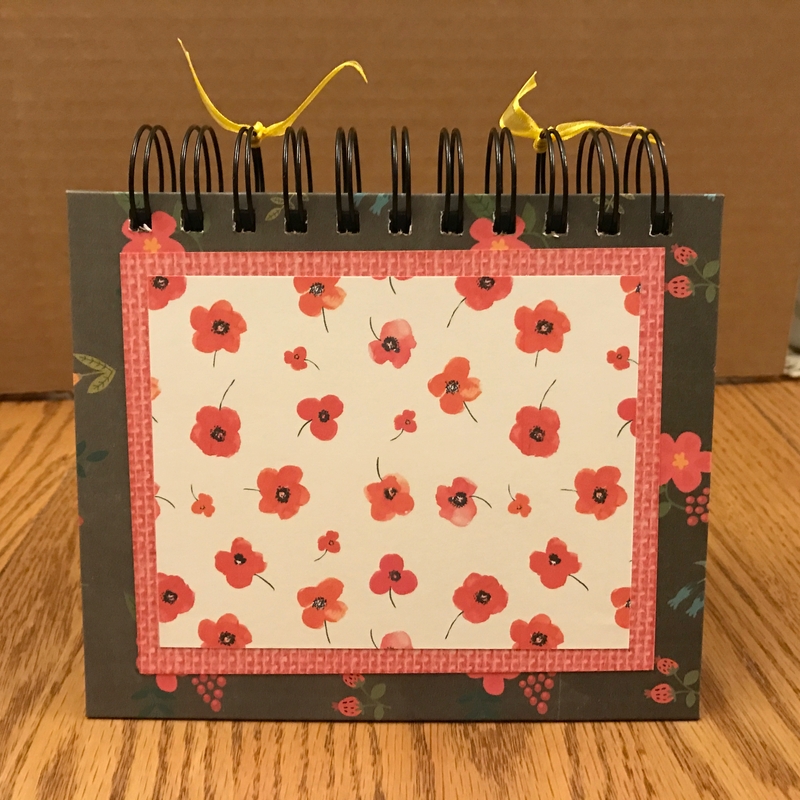 The front and back sides of the finished photo album are essentially the same, except for a floral embellishment on the front. Although I do use some purchased solid color papers for custom orders, I generally print papers from digital designs, and then seal them with Tim Holtz Distress Micro Glaze to make them water-resistant. For some of the papers whose white inner core edges I don’t want to be visible, I brush them with Tim Holtz Distress Ink. The last item I add to an otherwise finished book or album is the cover embellishment. 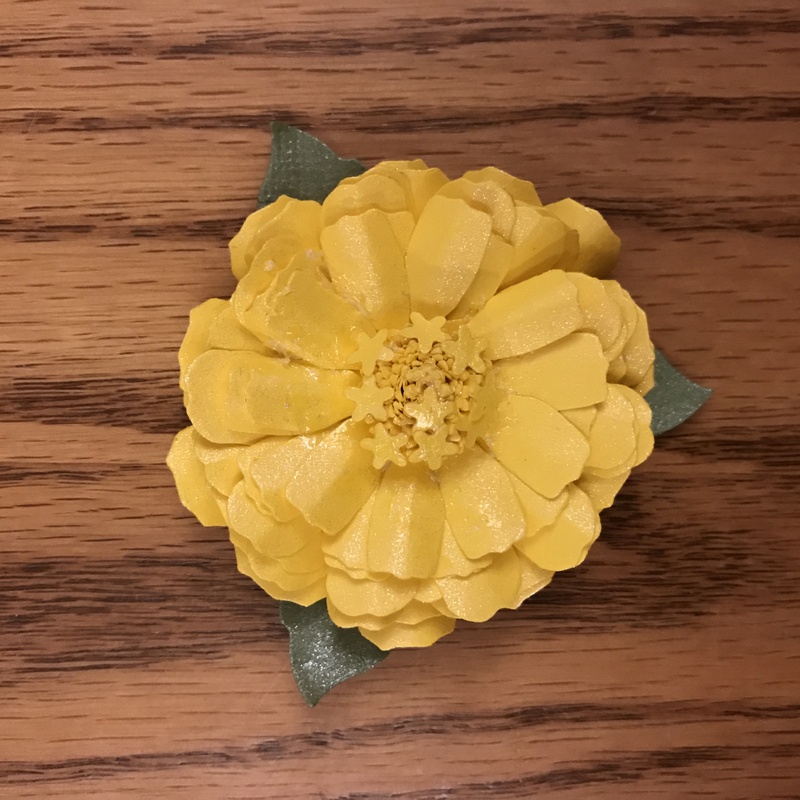 I crafted a yellow zinnia from 90 paper petals—nine layers in all—die cutting the petals with Spellbinders Create-a-Flower Zinnia. After the layers were adhered, I spray-misted them with Ranger Perfect Pearls Mists to give the flower a little shimmer. I glued the flower to the cover, gave it 24 hours to dry, and shipped off the album. 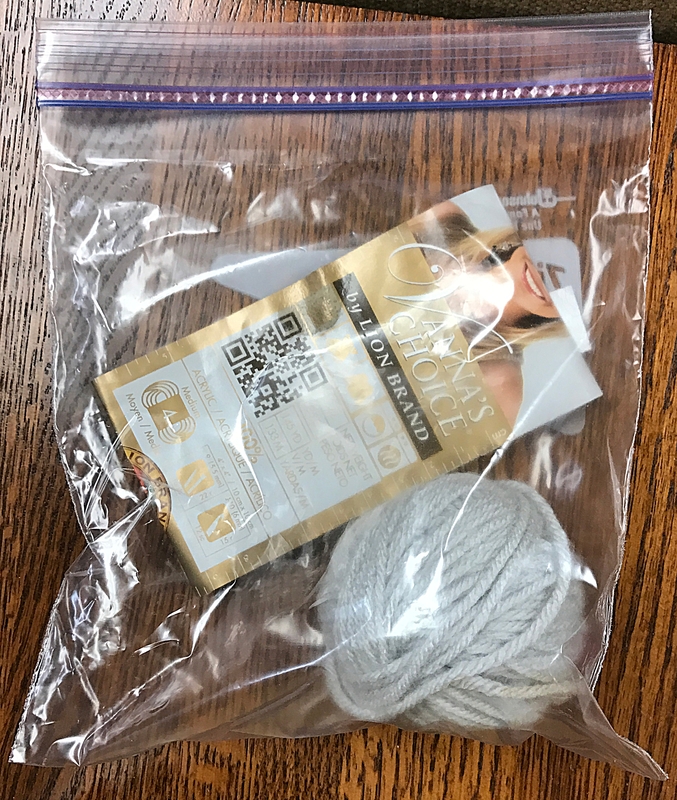 As I mentioned in my previous post, creating a digital proof for custom orders is essential to making sure that both the customer and I are on the same page. I don’t have expensive design software, so I use ordinary office software to get the job done. It does add a few extra steps to the creation process, but in the end, I think everyone is happy. 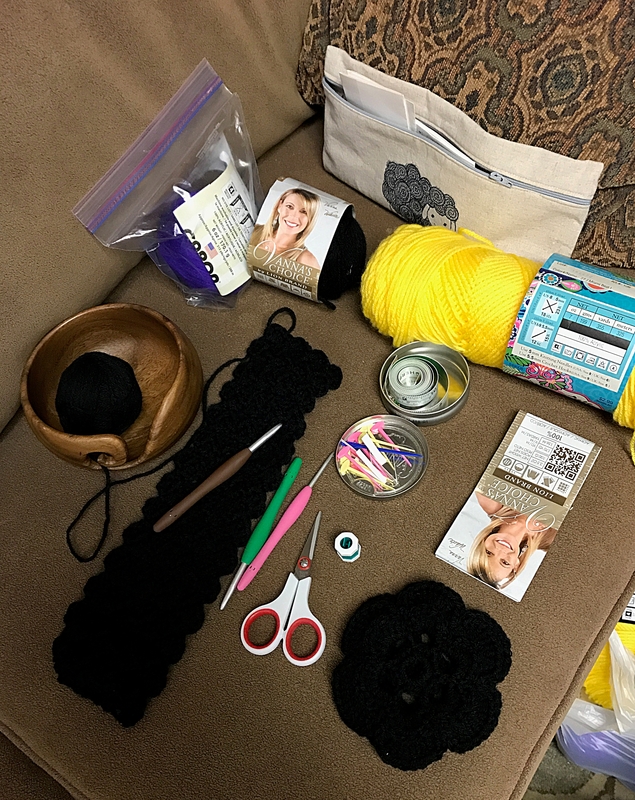 In the comments below, describe a challenge you faced when you crafted a custom item, whether it was for an order or a gift.